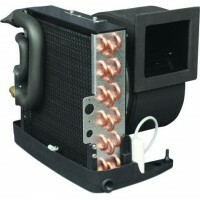 R-417A & R22 Refrigerant Units	There are 39 products. Dometic Condensing Units and Evaporators that Use R417A or R22 Refrigerant - Dometic RX Series Condensing Units and TurboVap (TV) Evaporators. 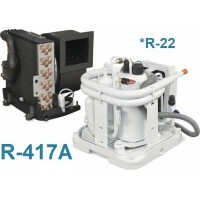 For R410A Systems, see here. 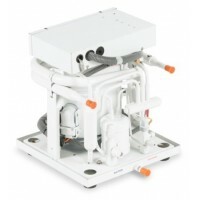 The Dometic/Marine Air Remote CSD9 Digital Control Condensing Unit Provides heating and cooling in a highly efficient package. The hermetically sealed, high-efficiency compressor reduces amp draw while pressure switches, thermal-overload, and start components provide constant system protection and reliable operation. Works with R417A enviromental friendly refrigerant. The Dometic/Marine Air Remote CSD12 Digital Control Condensing Unit Provides heating and cooling in a highly efficient package. The hermetically sealed, high-efficiency compressor reduces amp draw while pressure switches, thermal-overload, and start components provide constant system protection and reliable operation. Works with R417A enviromental friendly refrigerant. The Dometic/Marine Air Remote CSD16 Digital Control Condensing Unit Provides heating and cooling in a highly efficient package. The hermetically sealed, high-efficiency compressor reduces amp draw while pressure switches, thermal-overload, and start components provide constant system protection and reliable operation. Works with R417A enviromental friendly refrigerant. The Dometic/Marine Air Remote CSD30 Digital Control Condensing Unit Provides heating and cooling in a highly efficient package. The hermetically sealed, high-efficiency compressor reduces amp draw while pressure switches, thermal-overload, and start components provide constant system protection and reliable operation. Works with R417A enviromental friendly refrigerant. The Dometic/Marine Air Remote CSD36 Digital Control Condensing Unit Provides heating and cooling in a highly efficient package. The hermetically sealed, high-efficiency compressor reduces amp draw while pressure switches, thermal-overload, and start components provide constant system protection and reliable operation. Works with R417A enviromental friendly refrigerant. The Dometic/Marine Air Remote CSD48 Digital Control Condensing Unit Provides heating and cooling in a highly efficient package. The hermetically sealed, high-efficiency compressor reduces amp draw while pressure switches, thermal-overload, and start components provide constant system protection and reliable operation. Works with R417A enviromental friendly refrigerant.